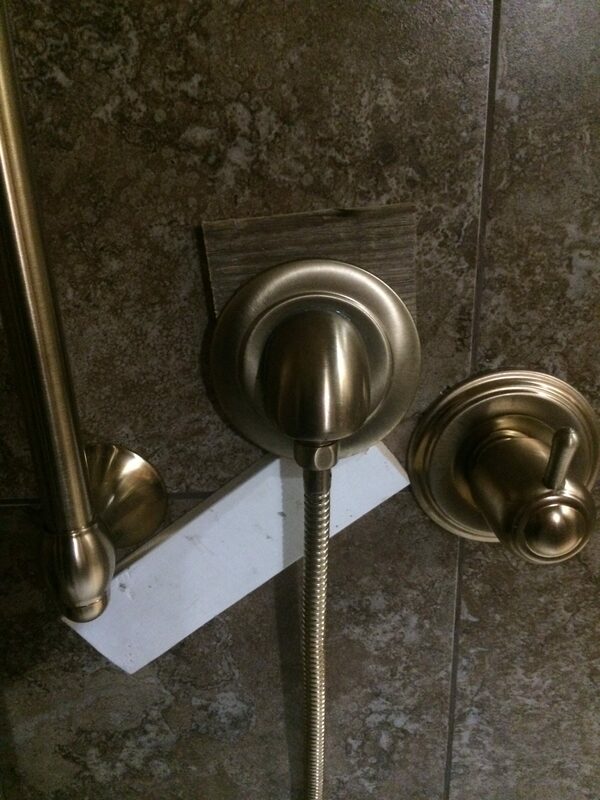 The shark bite I used to connect the shower hose to the wall was too loose even though I pulled it forward to attach the holder and added a backplate. I tried using caulk to attach the holder to its backing gasket and it fell apart almost immediately. 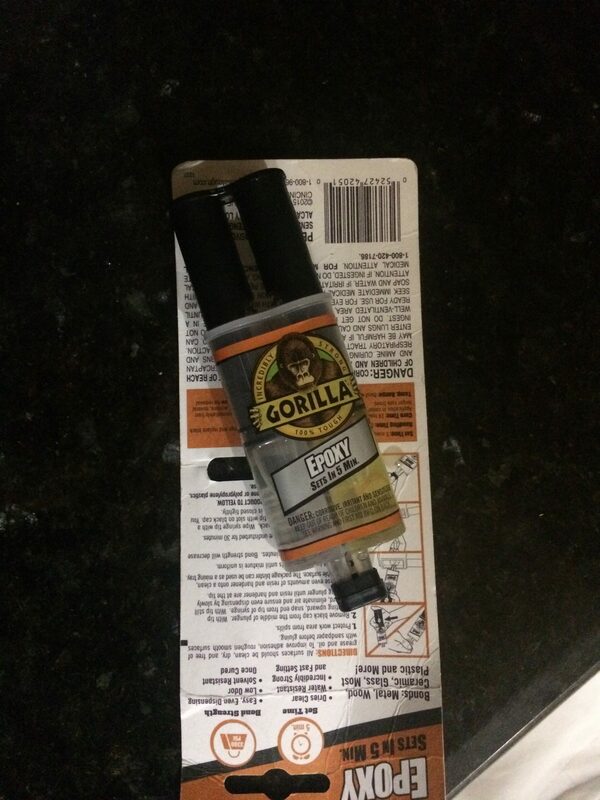 So I used Gorilla Epoxy Glue which was something I bought a while ago on clearance. The glue is uncapped and a bit of the glue is forced to the top with the plunger. The idea is to get equal portions of each liquid to mix together in the clear package front which can be used for the mixing. It comes with a small wood depressor to mix with and the mixing time is 20 seconds. Then it is applied with the wooden stick to the area needing to be glued. First I glued the plastic backer plate to the rear of the holder, after cleaning off the caulk. Then I applied it to the Venetion Bronze backer plate to take up some of the slack in the pipe. I used wood pieces to hold the backer firmly to the plastic back of the holder. Glueing backer to holder base. I let this dry overnight and then applied glue to the backer plate gasket and pushed onto the wall. I held it on with a cardboard tube that happened to be about the right length. 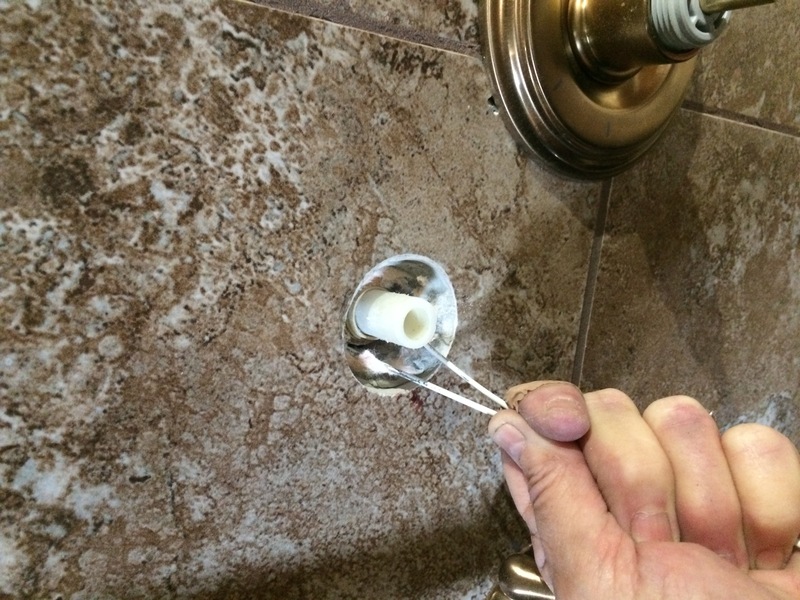 The glue seems to be sturdy enough to hold the pipe assembly firmly at the wall and the backer plate eliminates the gap that was at the wall. Seems to have worked out. 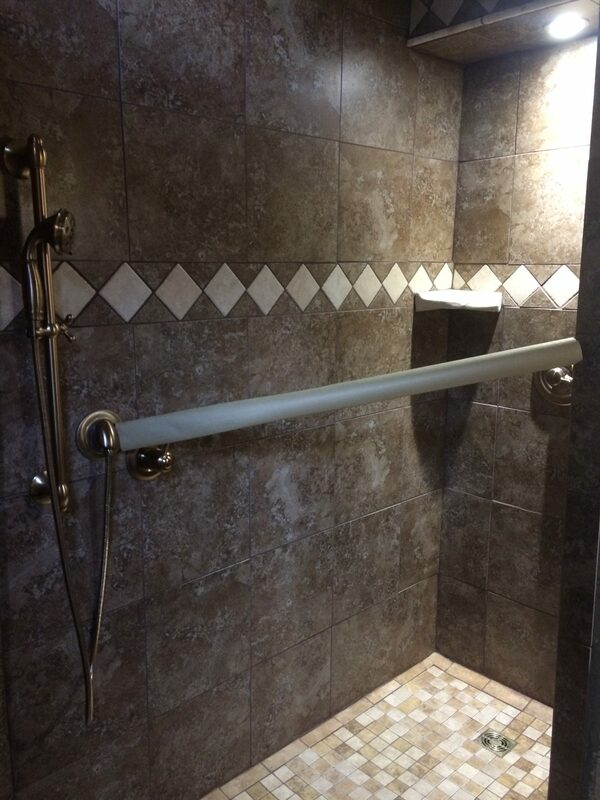 This entry was posted in -Chronological Recent Posts, Maintenance and Repair, Plumbing. Bookmark the permalink.